Now more than ever, marketers face a paradox. Consumers expect your brand to know who they are, what they want, and why and to deliver results at the exact moment they’re needed. But the seemingly never-ending stream of advertisements and inbox clutter makes many resent everything marketers do. In this environment, traditional approaches just won’t cut it. Marketing to these entitled consumers requires a new strategy: consumer-first marketing. And this book is the first to lay out how to do it. 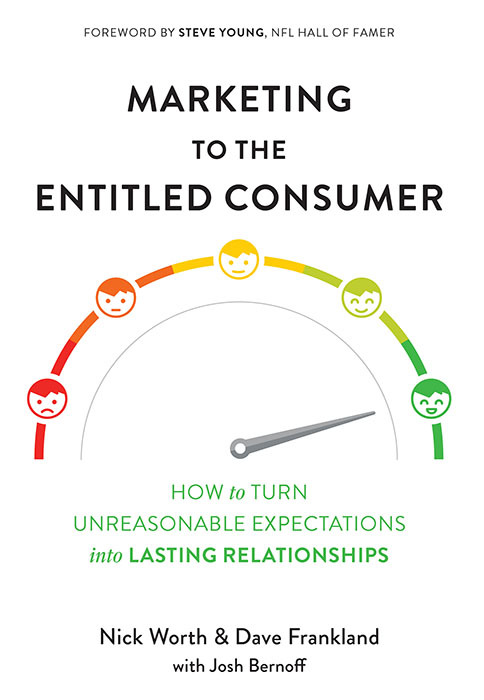 Based on focus groups and survey answers from real consumers, combined with the authors’ experience with hundreds of different brands, Marketing to the Entitled Consumer shows you exactly how to apply consumer-first marketing in your organization. You’ll learn which data to collect—from purchase histories to pollen counts—and how to deploy it consistently across online, mobile, and real-world channels. You’ll master the art of building meaningful consumer connections with the three R’s: reciprocal value, relevance, and respectful empathy. You’ll even get instructions on how to win over your fellow marketers and the rest of your company. Marketing to the Entitled Consumer features practical case studies from dozens of marketing practitioners and thought leaders—learn how a clothing retailer, a self-storage company, and a European department store all personalized their marketing outreach strategies to suit their individual customers and how those changes maximized company growth. Read the book that the legendary marketing thinker Don Peppers called “a warning shot across the bow of traditional marketing.” Then get to work. Your entitled consumers are ready for a new approach … are you?